by Lorenzo - gennaio 6th, 2010. 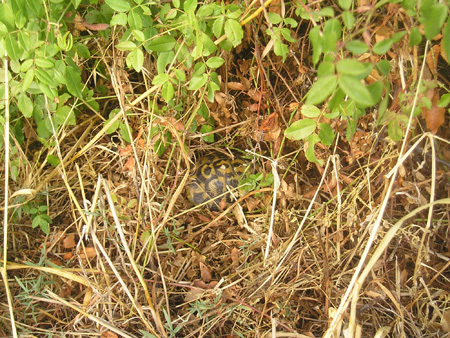 Filed under: Habitat, In natura, Testudo hermanni, Toscana. 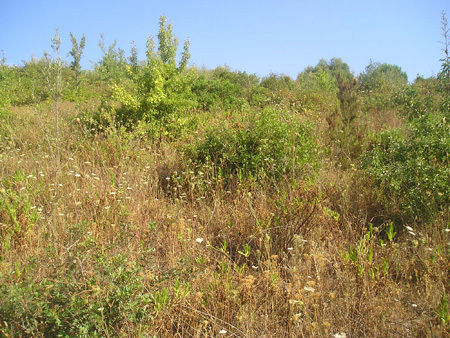 Queste immagini di Testudo hermanni hermanni della Toscana meridionale ci sono state inviate da Laurens Woldring che spero ci vorrà parlare lui stesso delle interessantissime attività della European Studbook Foundation www.studbooks.org. 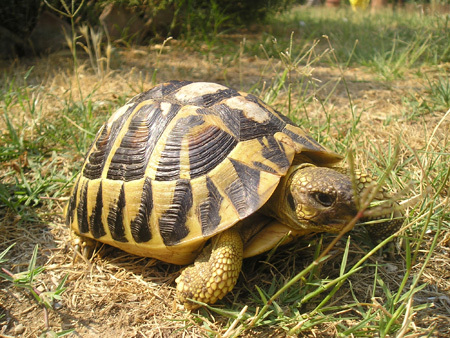 Per introdurre un po’ il concetto in realzione alle nostre tartarughe italiane (non solo le Thh toscane naturalmente! ), usando le parole dello stesso Laurens, posso dire che si tratta di un programma finalizzato al monitoraggio costante di popolazioni geneticamente sane in cattività. A questi “studbooks” possono partecipare sia gli zoo sia i privati i quali inviano periodicamente i dati relativi ai loro animali e alle relazioni genetiche che li legano. Alla luce del rischio “inquinamento genetico” sempre più alto in natura quale diretta conseguenza dell’aumentata importazione di animali provenienti da altri paesi, un programma del genere va sostenuto e adottato soprattutto in virtù del fatto che esemplari tratti da tali “riserve di animali geneticamente sani allevati in cattività” potrebbero essere impiegati in progetti di reintroduzione e salvaguardia. 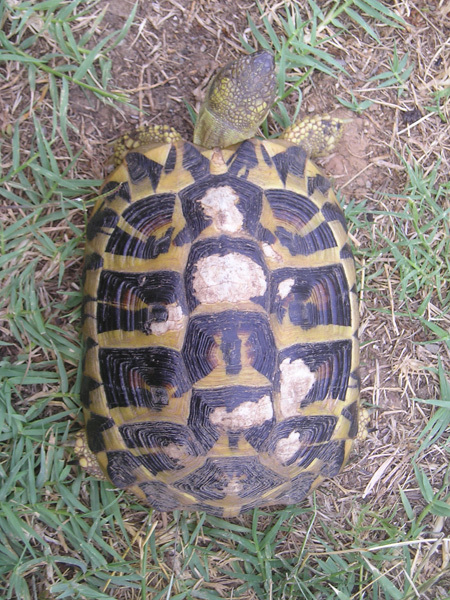 Touton, according to your impression about this Toscany Thh in Var babies ( 4 years old, 1 year old and neonate from september 2009) I can say that the Toscany specimens as well as umbrian ones usually have a yellow-green head and this is one of the most important difference I can see comparing them to Var or Puglia specimens that always have a dark head skin. 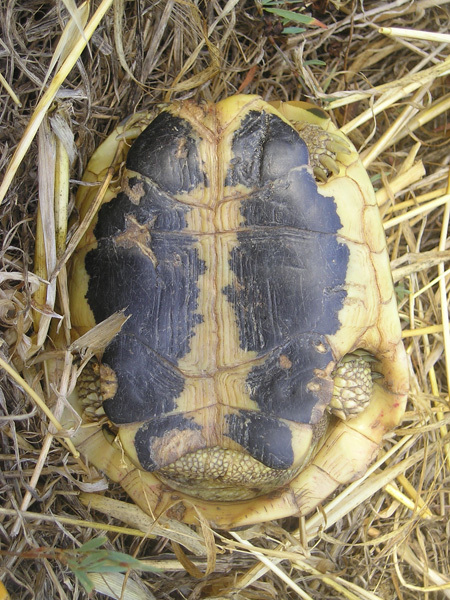 Sardinian Thh have a light yellow-green head and even the head shape is peculiar: less round then in peninsular ones. 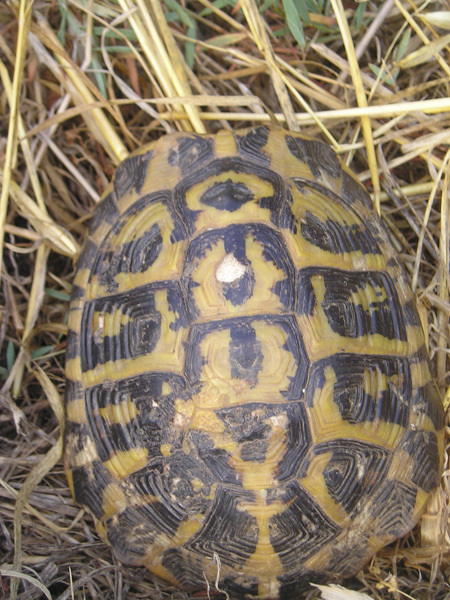 The Toscany shell color is probably really less yellow-orange then in varoises and umbrian populations and several specimens are bigger too. I don’t know if the narrow key hole and the F/P close to 1 are typical patterns of Toscany population: I agree with you we need more pics and more details!!! Lorenzo, you speak about the interesting link we could make between Pugliese thh and varoises thh, because they have the same grey head skin, whereas other italian populations of thh have quite lighter head skin, with a lot of yellow or green on it. - the pattern on V5, the “key hole”, seem to be more narrow at the center than among varoises. I think this last character, design of key hole on V5, could be a good character to identify a varoise from any italian thh (even insular) and even from a corsican. Italian and corsican specimens have a more narrow key hole at the center than varoises. The size seem not to be a good character because some italian thh, like umbrians, seem to be smaller than varoises and some other italian thh, like sicilian or sardenian, seem to be bigger than varoises. 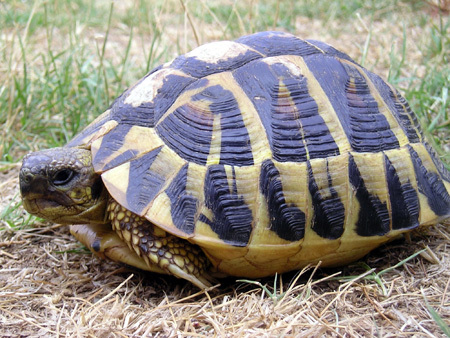 The general color of shelll or of plastron seem also not to be a good character because, even if a lot of italian thh seem to be clearer than varoises, some italian populations or isolated specimen seem to be as dark as varoises. Ye can also add, as a specificity of varoises, the dark color of claws among adult specimens because, apparently, all the italian populations of thh have light claws: green or yellow. What do you think Lorenzo ? 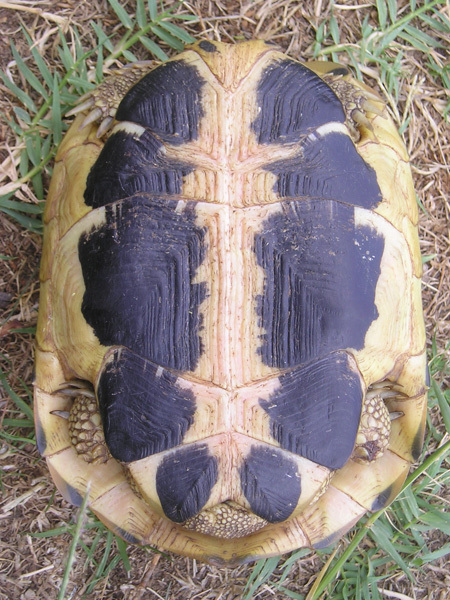 The animals from Gargano mountain have indeed little black pigmentation on the carapace. 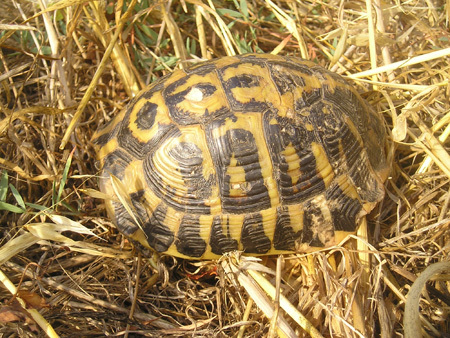 Animals from Murgia/ Golfo di Taranto (approx. 200 km more south in Puglia) have relatively a lot of black pigmentation. In my opinion there are morphological differences between these two Apulian populations. 2. the dark color of claws among adult specimens because, apparently, all the italian populations of thh have light claws: green or yellow. But as Laurens said, among all italian popualtions, we must pay attention to tarantine Thh that I think are really similar to Var one!!! It may be difficult to make a distinction!